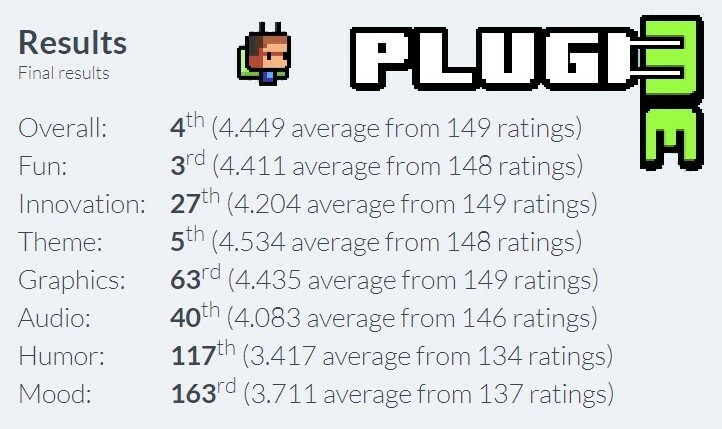 Hi guys, I made this game called "Plug Me" in 72 hours for the Ludum Dare 39 jam! The theme was "Running out of power" and I managed to rank 4th out of 1300 games. 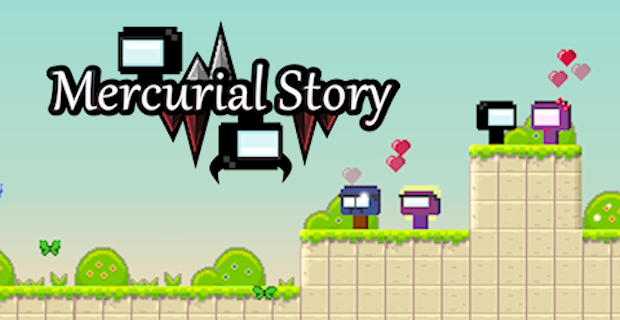 I'm working actively on the game to release it on Steam and on mobile devices. Help Plug-man to recharge the loading bar in this fast-paced puzzle platformer in which the timer is a physical object that forms part of the level! Basically you need to reach the plug at the end of the level before the loading bar runs out of power! You can use the loading bar as a platform, but be aware to not fall off! To start use the mouse and click on the first level. Arrow keys to move (or WASD). 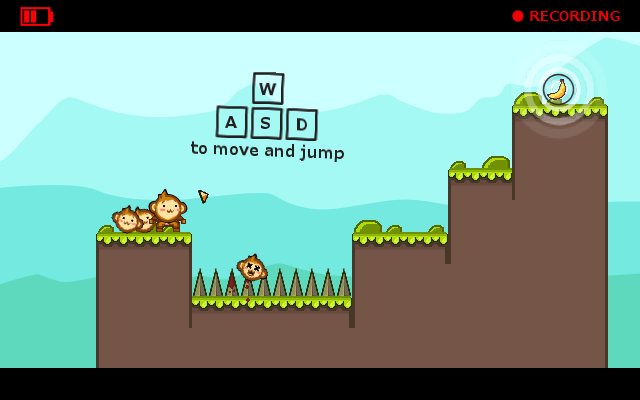 “X” to jump and double jump (or Spacebar). “ESC” to return on the main menu. You can play Plug Me on the Ludum Dare Page! This is my entry, the real story of the Waka Waka yellow ball! Basically you can't see around you, but you can shoot balls that illuminate walls. Illuminated Walls can reveal the distance of traps. This is my fifth app called Crossy Cat available for both Android and iOS! Help the Crossy Cat to cross the river and fight bosses along the road! Collect fishes in order to get more skins and hats through the random slotmachines! 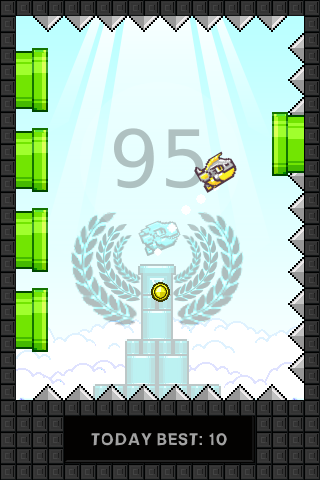 Challenge hundreds of players online with leaderboards that will be refreshed every five minutes and try to get medals! 20+ unlockable Skins, including Dogs, Pigs, Elephants, Nyan Cat and other kind of animals! 20+ unlockable Hats: let your Cat wears a Sombrero! 4 types of Bosses along the road. 5 types of Medals (if you play online): Golden, Silver, Bronze, Top 10 and Top 30. 3 types of fishes: Orange fish (+3 score), Red fish (+10 score) and Skeleton fish (-3 score). Plenty of obstacles, like bombs, circle saws and spikes! Languages available: English, Portoguese, Spanish, Russian, Turkish and Italian. I hope you guys like it, Ratings and Comments are really appreciated! Thanks in advance! Ask a Question / How to encode/decode JSON? Could anyone tell me how to encode/decode JSON string via Stencyl? This is my little app for Halloween (a spin-off of Flapping Online) called Flapping Crush! 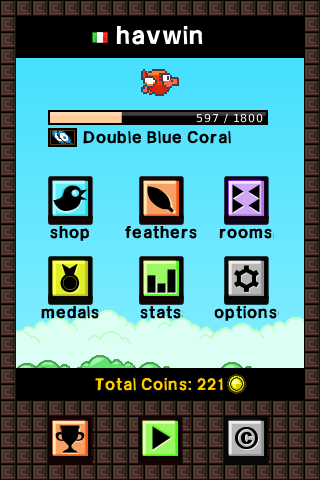 Are you tired of all these Flappy Bird games? Crush, smash, splat and kill them all through the pipes in Flapping Crush! Birds on ONLINE MODE are real people! They are playing our other app called Flapping Online. - Online and Offline mode. - 7 power up bonus. - 7 types of wall. - 70+ birds to smash. - Halloween theme and other creepy backgrounds. - Final leaderboard every 5 minutes. - 4 kind of Medal: Golden, Silver, Bronze and Top 10. I've also released yesterday a Flash version on Newgrounds, and it was featured on the main page! Ask a Question / MD5 function via Stencyl? There is a way to encrypt a string with the MD5 function? 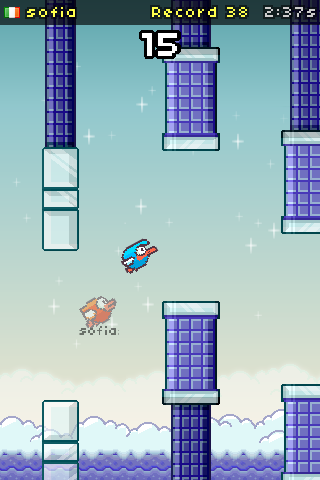 While he is Happy the moody guy can double jump and the gravity faces down, instead when he is Angry the gravity faces up and he is unable to double jump. Try to complete all the levels and get all the 18 Pills. I'm searching someone to implement the Steam SDK and API, I'm willing to pay if needed. Drop me a message if you are interested in. The game will be updated before the Steam release with new mechanics and levels (at least 60). 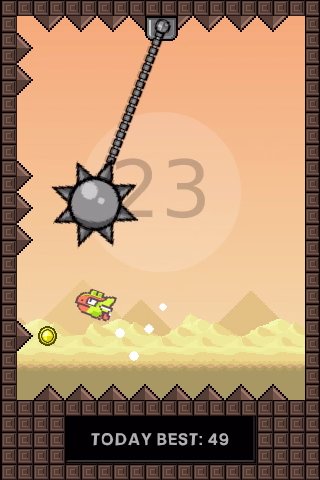 Make your Bird fly and don't touch the spikes! Let them flap through hundreds of different rooms unaware of what will come next! 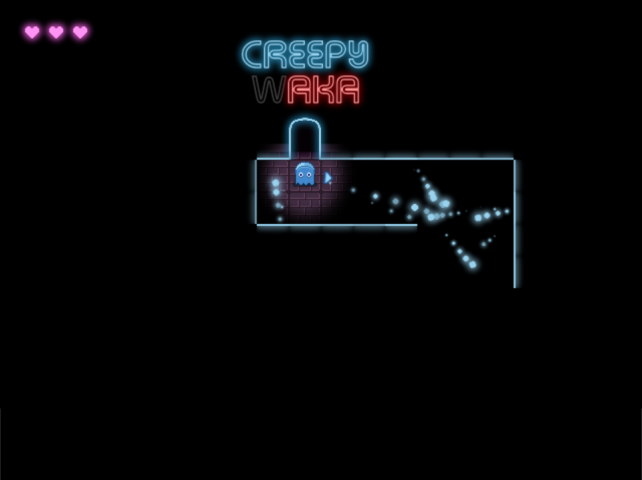 Every 10 scores you'll be teleported in a new room with random obstacles, In which room will you die? Challenge hundreds of player online in 4 different servers (newbie, junior, pro and elite) with leaderboards that will be refreshed every hour (The game works also offline)! 4 types of leaderboard server. App playable Online and Offline. Lets say I want to recreate the physics of the default physics of Stencyl, what is the formula behind? I mean, we put a number in the physics tab (vertical), like 85... What this stands for? Basically I want 2 object with different gravity, so the first one will be affected by the stencyl default gravity, the second one by my custom gravity. I thought I need to put a constant acceleration in the "Update" block of the second actor... But I need the exact formula to make the two gravities equal. Also, I need to accelerate the second actor every frame (on drawing) or in the update block? I'm using Load SWF Splash from stencylforge by rob... The swf has loaded, but it is not centered. I've tried to change the X and Y attribute, even the scale but these seems to not change the position of the swf or its scale. I've attached the swf... maybe it's all about the AS version? I've tried also to make the scene bigger and move the camera, but the swf seems to be anchored to the screen. This is my Jam entry called “Bipolar World“! I made a story about a Bipolar boy and his eternal fight between Anger and Happiness. 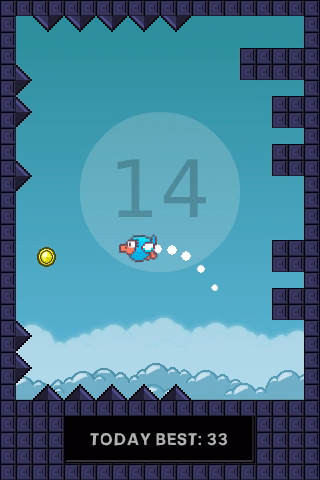 Play through 14 levels in this Platform with a strange gravity! I’ll begin playing all the games tomorrow! If you want to try and rate my game I’ll be happy to try yours! I've opened a topic on the Stecyl 3.0 forum and captaincomic told me that the error could be related to admob. Abliblablobla could you help me? He linked a topic with the "same" error, but the problem is that is referred to admob 2.1. Unfortunately my app was copied by another user on the playstore. As you can see He has stolen my pixel art graphics and the overall idea behind the game (online battle on the same level) copying practically everything (from the HUD to the backgrounds and obstacles graphics). Could anyone help me to put some "1 star" on it?